Criminal stalking accusations are taken seriously by the Pennsylvania courts and so require a strong and skillful defense. Stalking occurs when a person repeatedly acts or communicates in a way that demonstrates intent to place another person in reasonable fear of bodily harm or to cause substantial emotional distress. Stalking may involve following, peeping, unwanted messages and other problematic actions. 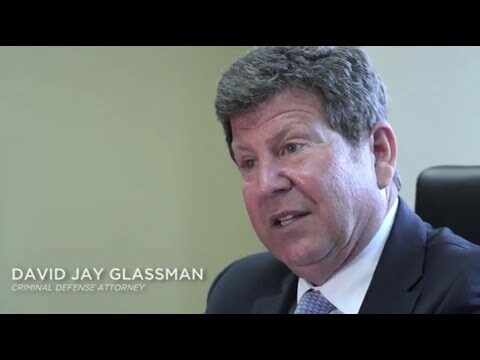 If you are charged with misdemeanor or felony stalking, the Law Offices of David Jay Glassman in Philadelphia is here to help you fight the charges. Simple obsessional — This most common form of stalking may involve an individual looking to make contact with a domestic partner, co-worker or other familiar acquaintance. Because the stalker personally knows his or her target, the victim may have a higher degree of sustained risk than in other situations. Love obsessional — In love obsessional stalking, a person makes attempts to get the attention of an object of their affection, such as by sending gifts or messages to communicate their feelings. The parties may be familiar with one another but may not have any personal relationship. Under 18 Pa.C.S.A. § 2709.1, a first-time stalking offense is a first-degree misdemeanor that can carry a sentence of up to five years in prison and as much as $10,000 in fines. In the case of a repeat offender or one who was previously convicted of a violent crime involving the same victim or a member of the victim’s family or household, stalking is a third-degree felony with a maximum prison sentence and fine of seven years and $15,000. A court will also likely issue a protection from abuse order (PFA) that bars further contact with or physical proximity to the complainant. We understand that being subjected to a PFA and accused of stalking can seriously limit a person’s life and opportunities for the future. Through persistent and assertive advocacy, we work to have Pennsylvania stalking charges dropped, dismissed or reduced. As part of our defensive strategy, we will comb through the prosecution’s charges and all available evidence, aiming to dismantle the legal basis for a criminal stalking case. By examining the details in the claim and comparing them to phone records and other evidence, such as witness testimony, we may be able to show a lack of credibility on the part of the complainant or to demonstrate the lack of a real threat to anyone’s safety. At the Law Offices of David Jay Glassman in Philadelphia, we assert the rights of individuals accused of stalking and aim to help them move forward with life. If you are up against criminal charges in Pennsylvania, call us at 215-563-7100 or contact us online to arrange for an initial consultation. We represent clients in Philadelphia, Bucks, Chester, Delaware and Montgomery counties.